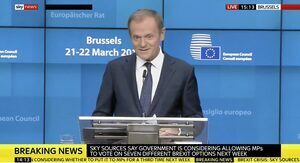 European Council president Donald Tusk speaking at a press conference in Brussels today. 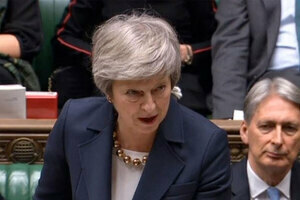 It follows the EU last night agreeing to postpone Brexit until May 22 – as long as MPs in Westminster approve British Prime Minister Theresa May’s Brexit deal next week. 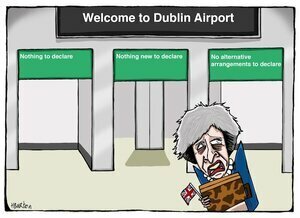 If MPs don’t approve her deal, Britain will leave on April 12. 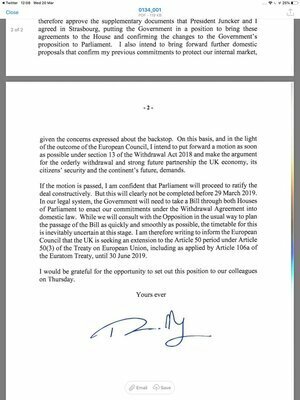 Ms May had sought an extension until June 30. Posted in Misc and tagged Brexit, Donald Tusk, European Union, Theresa May at 3:19 pm on March 22, 2019 by Bodger. Absolute pooshow. It’s a week to deadline and no one knows what’s gonna happen! Luckily they’ve got that strong and stable leadership to rely on. It’ll be interesting to see how the proposed WA and proposed backstop texts are revised. May IS a brexiteer, and by the looks of it, a radical one too. Why is two posts on other topics this evening not being displayed half an hour later please? I once had a Brazilian crack and sack wax, your point is caller? 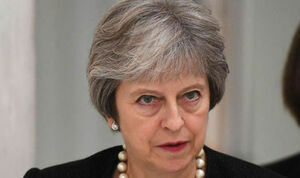 The only thing may cares about at this point is not going down in history as the tory leader who oversaw the destruction of her own party, the notion that she is “pushing for the will of the people to be done” is long defunct. At this point she is busy trying to pull her own rear end out of the fire. It s amusing how back in the day, the Irish were considered the tribalists. And that’s how it’ll probably go with the Brexit, until like those ads, it’ll be almost forgotten. Shayna was quite astute in her postings! Interesting comments too.